Still looking for a gift for the baby shower? Every expecting mom will enjoy this cute pointed hat. And the best part: with a basic pattern worked in stockinette and a narrow cuff, it knits up quickly. A great project even for beginners, if you know how to knit in rounds. 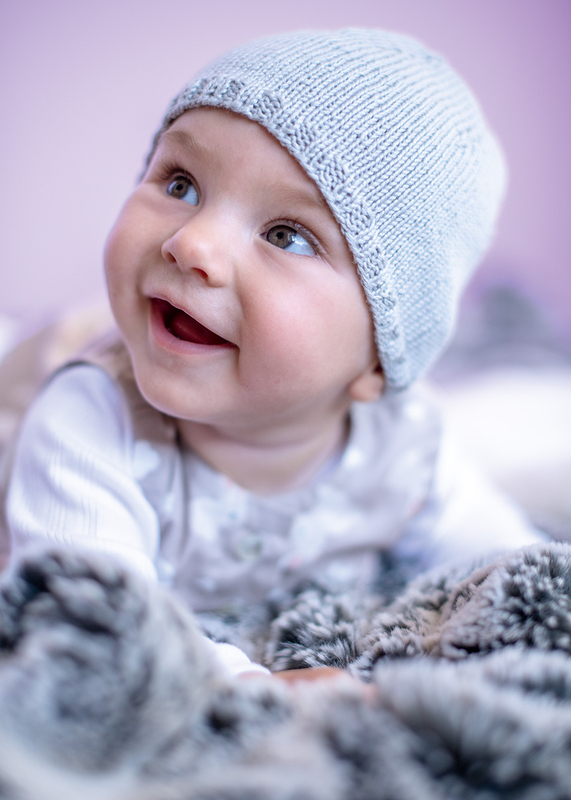 Then you can knit the hat in four different yarns that are all guaranteed non-toxic and easy to care for. Baby Smiles Bravo Baby 185 (100% polyacrylic), Baby Smiles Cotton Bamboo (52% cotton, 48% rayon), Baby Smiles Cotton (100% cotton) and Baby Smiles Merino Wool (100% new wool) all have the same gauge and are interchangeable. Instructions included for circumferences of 33 – 35 cm (13"-14"), 36 – 38 cm (14"-15") and 39 – 41 cm (15"-16").